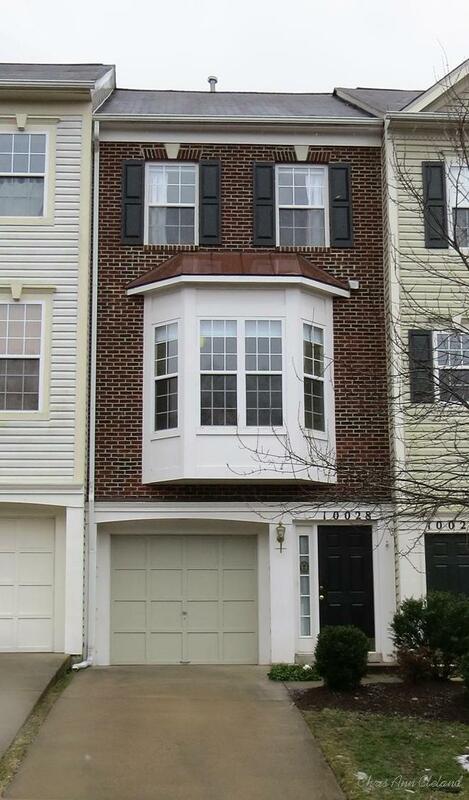 Braemar Townhouse-Style Condo Under Contract in Six Days!! Why wait for spring when you can be the only game in town now? The Sellers of this Braemar condo didn’t wait until the grass was green and the forecasts of snow were a thing of last season. They placed their three bedroom, two and a half bathroom condo, priced at $240,000, on the market on February 4th (2014.) Six days later they were under contract. We had plenty of buyers looking for a home in this price range. Unfortunately for those buyers, the most motivated of the bunch stepped up first and wrote an offer. This means there are still dozens of buyers looking for a Braemar home around $250,000. It pays to beat the rush to list in Spring. If you want to get a leg up on the competition and list before spring, give me a call for a free market analysis of your home’s value. No One Knows Braemar Better! 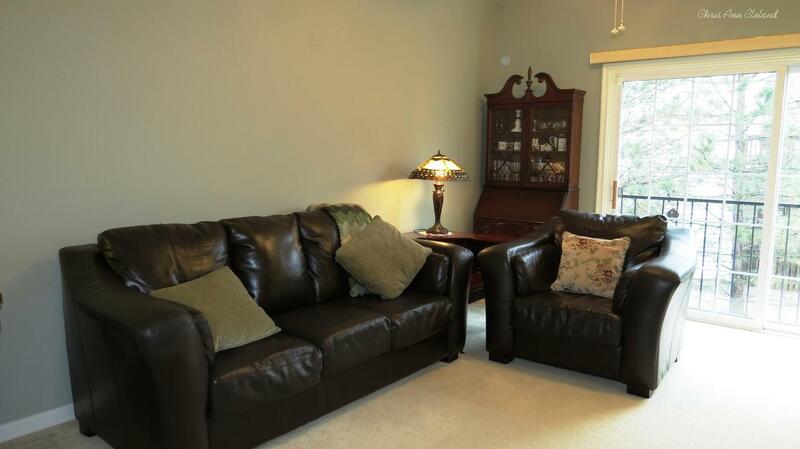 Townhouses and condos are considered completely different things by many people in Braemar. Condos are not any particular type of architectural style. They denote a type of ownership. A group ownership. This particular Braemar condo is a townhouse in design. This time of year when ice and snow are part of our forecasts, buyers will love that it has a one car, attached garage. Inside, on the main level you will find an open floor plan. Enjoy a living-dining combo, or just one large living room as you step up onto the second level. 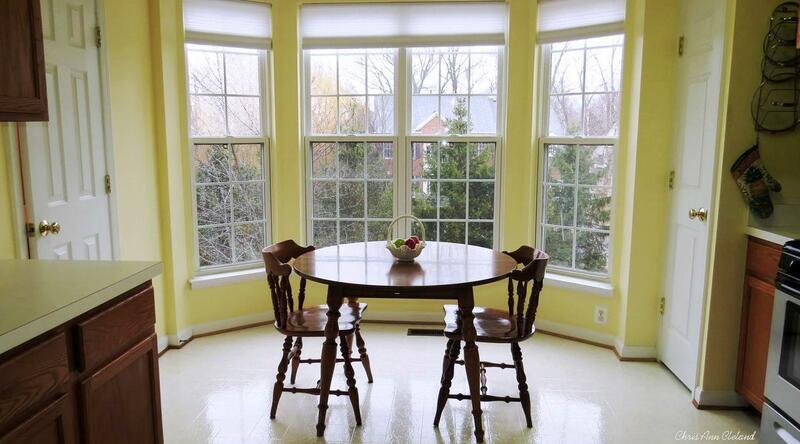 Who needs a dining room when they have a kitchen eat-in area sitting in front of a bay window view of evergreen trees? The kitchen has the shiniest vinyl floors I have ever seen. To say they are well kept is an understatement. 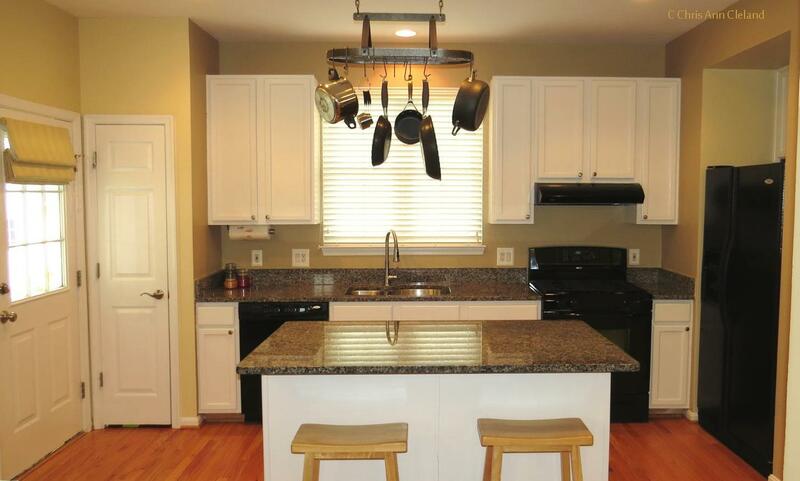 The kitchen’s biggest advantage is new appliances. Of course every cook wants to know what the cooking surface is fueled by. 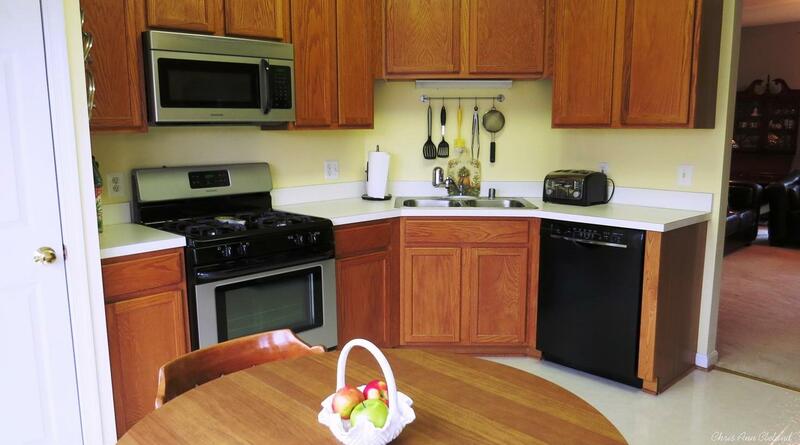 The cooks touring this kitchen will be delighted to see a gas range. There are two bedrooms on the third, or uppermost, level of the condo. The one considered the Master Suite has a private entrance to the only full bathroom on this level. The other entrance to the bathroom is through the hall, where the second bedroom occupant would enter. The laundry area, with a full size washer and dryer, is also located on this uppermost level. The third bedroom is on the bottom level of the home. While it is considered the basement, there is no part of this bottom level below ground. 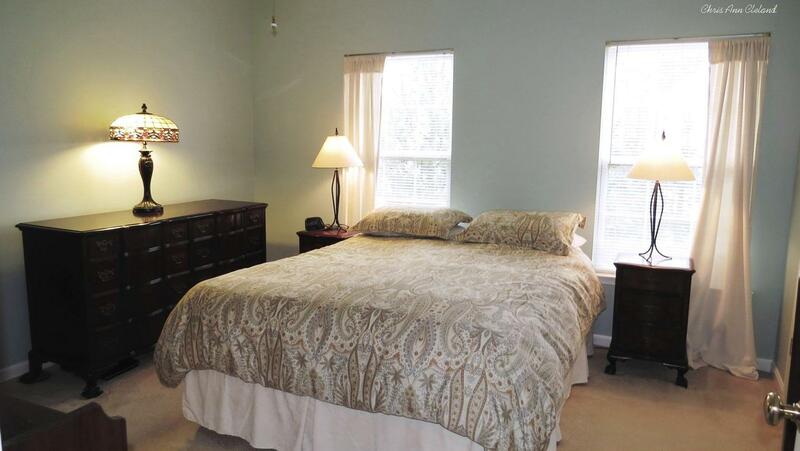 The bedroom here has similar dimension to the bedrooms upstairs and has its own attached full bathroom. There are a couple conveniences I did forget to mention: the powder room on the main level and the built-in bookcase right off the living room. Perhaps the best thing about this particular Braemar condo is the location. It is nestled behind evergreen trees in the front, giving cover from Iona Sound Drive, and has trees in the common area in the back. And it is within a block of the Iona Sound pool and a couple of blocks of Braemar Park. This Braemar condo won’t be on the market long, so if you want to see it, give me a call. No One Knows Braemar Better! 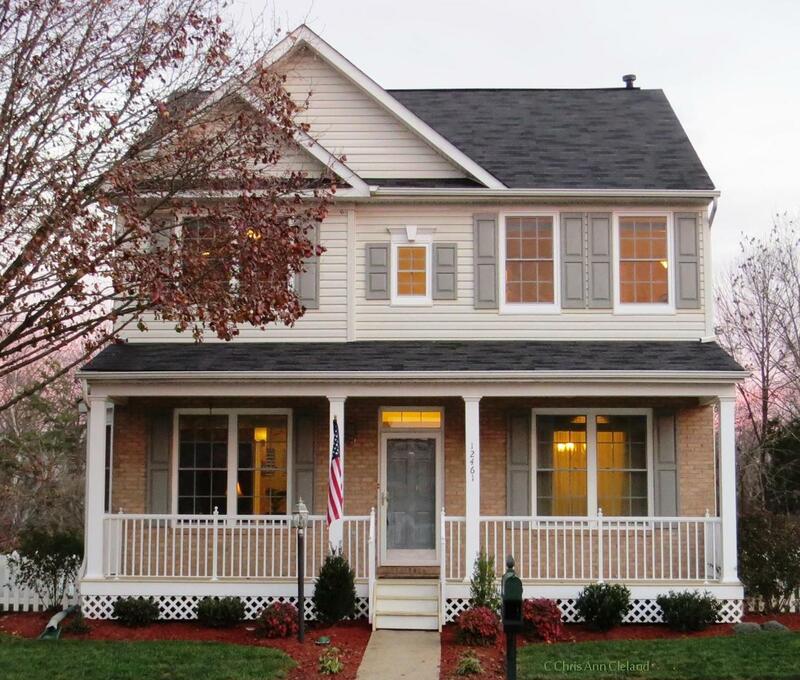 This Norwood model, a three bedroom Carriage home, hit the market priced at $378,000 on December 1, 2013. It had multiple offers within days and after some negotiating with the best offer, went under contract on December 8th. Having to negotiate for four days with the first Buyers should have been a clue of trouble around the bend. Nonetheless, the Sellers were ecstatic, as well they should have been. They had had a pre-list home inspection and done the items on the inspection list recommended by the inspector. The house was in tip top shape, but the Buyer’s home inspector took issue with the enclosed porch. He stated it wasn’t built to code. Well, the building permits told a different story. This is what happens when home inspectors talk current code about a home built in 2000. Do buyers really expect a seller to rebuild parts of their home to current code? That’s just not even remotely going to happen because a home inspector speaks out of turn and panics a buyer. Not willing to rebuild the enclosed porch, the Sellers put the home back on the market on December 23rd. Almost makes your stomach flip to read that, doesn’t it? Hitting the market the day before Christmas Eve. But you know what? It was back under contract on December 26th with Buyers who had been part of the original multiple offer mix. 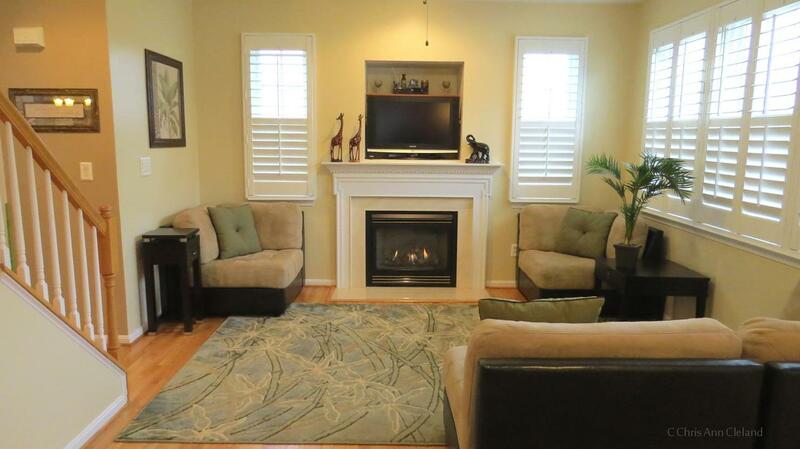 On January 31st, this Braemar Carriage home at 12461 Iona Sound Drive sold for $378,000. The Sellers contributed $5,000 toward the Buyer’s closing cost. Best of all, this sets a high sales price for the Norwood model. A sales price this high hasn’t been seen on a Norwood since August 2007. Now THAT is good news for Braemar Carriage home owners. If you are interested in selling your Braemar home, contact me for a free market analysis of your home’s worth. No One Knows Braemar Better!